Tuscany the region of the golden slopes, rolling hills, mountains and the sea side. 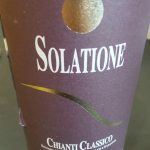 Solatione is a winery in the Chianti Classico area. The Chianti Classico is inland and is between the provinces of Siena and Florence. The area is known for it lovely rolling hills. In Chianti everywhere you look your eyes will observe vineyards, olive groves and woods. Depending on the month you might be able to see the reds of the poppies or the intense yellow of the sunflowers of course depending on where you are. Solatione is in Mercatale Val di Pesa, which is in the province of Florence. This lovely little Boutique winery is at about 450 mt. above sea level. The view from there is absolutely amazing. From there on, things just get better. Francesca Giachi, one of the owners, is such a delight and speaks perfect English. She takes care of the office work and the wine tasting tours. The winery is pretty young. It dates back to 1970 when Renato, Francesca’s dad, purchased the land. This land lies on a hill top and the area is called Solatione, which means sunny place. the 1st vineyards were planted in 1972. 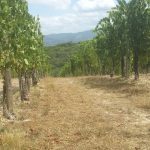 The vineyards cover 6 Hectares of land (1 hectare corresponds to 2.5 acres). The king of the vineyard is Sangiovese and since 2006 they have a small percentage of Merlot. 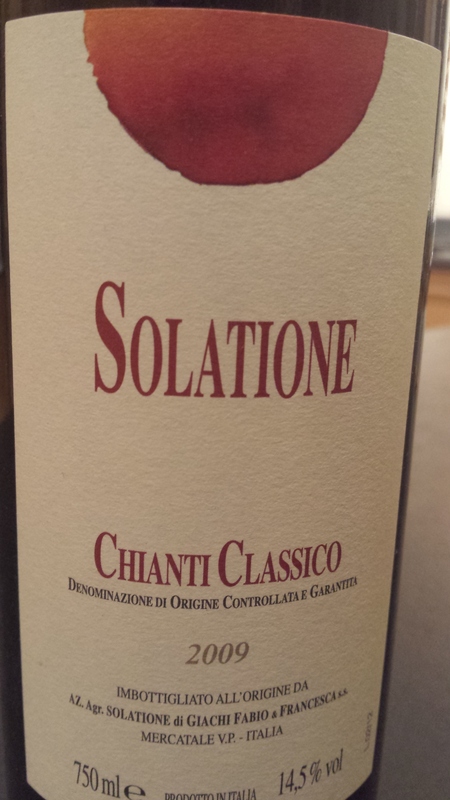 By law a DOCG Chianti Classico has to be a minimum of 80% Sangiovese and the remaining of red grapes. Today who takes care of the vineyard is Fabio Giachi, Francesca’s brother. Unfortunately Renato passed away in 1997 but his children wanted to carry on the business. If you wish to visit the winery it is best to book. As they are small and famous for their delicious wines, Francesca during high season is very busy with visitors, journalists and groups. 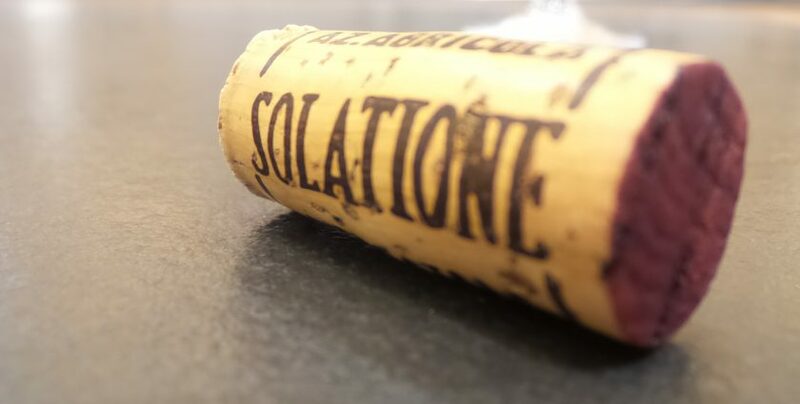 All wines of Solatione are long ageing wines. In general Chianti Classico’s are not meant to be left in the cellars many years. Of course it always depends on the winery and how they made there wine. You will notice that on the market, most Chianti Classico’s you will find are the 2013 and 2014. 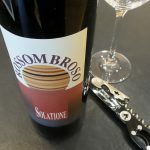 Solatione releases the wines only once they believe the wine to be ready. 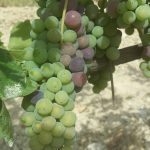 That is why they always have the older vintages out on the market as the younger ones are still not ready. The base Chianti Classico 2009 is an excellent wine to pair to many dishes. It goes well with a diversity of foods. From something very simple as cold cuts and cheeses to something more complex like a ragu sauce. Of course if we start taking dishes with a bit more of flavor like a stew then we would need to go a step further and have the riserva or the supertuscan. The colour of this wine is a light vibrant ruby red with a tinge of brick red on the rim and is clear. The aromas if given the time to open up are fruity, floral and spicy. 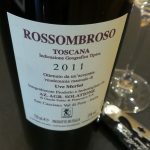 The fruit notes that I smelt were the typical sour cherries of Sangiovese but also a hint of strawberry. The floral aromas instead were those of roses and violets. The spices are not dominant as the fruits and floral but can smell it at the very end such as dark chocolate. The aromas are of medium complexity and are really intense and persistent. Every time you put your nose in the glass the aromas are bursting out and are a delight to the nose. 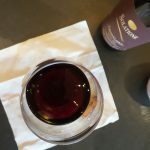 On the palate the wine is very fresh as it has an amazing acidity, the tannins which have mellowed a bit from the aging have become soft and velvety, but are there and present. The warmth on the palate is very well balanced with the freshness and tannins making it an extremely well balance wine. The aromas smelt are present on the palate and the after taste of cherries, dark chocolate and roses are just a delight. The wine is intense and persistent, which makes it a joy to the taste buds. What can I say more about this wine a part that if you manage to get a hold of it and taste it, you will not be disappointed. 90% Sangiovese 10% Merlot aged 18 months in small French oak barrels and then put in bottles to Age a bit longer. Colour is ruby red with an orange tinge on the nail. It is of medium intensity and it is clear. The aromas are of those of fruit such as sour cherries and raspberries, then there are notes of flowers like roses and violets and notes of coffee and chocolate. The aromas are intense, persistent and complex. On the palate the wine is very fresh and the tannins are like a great velvet dress. The wine is warm as a spring day in the sun. The wine is very well balanced. It is intense and has a long finishing. The after taste is of chocolate and cherries. This wine can still sit in the cellar. If I would have to pair this wine I would say something not too light and not too heavy something like a good ragu sauce. So maybe a lovely lasagna dish or a lovely steak, also pork would work lovely with this wine like pork loin. Merlot 100% aged in small French oak barrels for about 18 months then bottled and aged for a bit more. The colour is a dark ruby red. 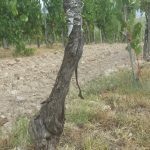 The aromas are of cassis, dark cherries, blackberries then there are notes that come from the ageing in wood like dark chocolate, coffee, vanilla, cinnamon then also more floral notes such as moss and wild flowers. The aromas are intense and persistent. This wines evolution in the glass is incredible. I would highly recommend to pour 3 glasses and try them an hour a part. So if you try glass number one at 6, the second one try it at 7. The wine will change and give you something different each time. On the palate the wine is very fresh but warm the tannins are young but not aggressive. The wine is very well balanced? The after taste is of dark cherries, dark chocolate, coffee and a sweet hint of vanilla. The flavours are intense and complex. The wine has a long finish. This wine being more complex needs stronger flavours like game. Wild boar is very popular in the Chianti area and that would be a perfect marriage. If you do not like game then I would recommend osso buco or a beef stew. If not this wine goes very well with dark chocolate.